A 92 year old Retired North Dakota District Court Trial Judge and World War II veteran, Ralph Maxwell wrote this fantastic poem about Romney. It is a bit cheesy , creatively cheesy, the kind that doesn’t get so thick it puts you off. Anyway, it’s Amercan cheese, the stuff you hate to love!!!! Its on you tube, I think to be properly consumed, it should have a modern cover. O, Romney-O, Romney-O, Wherefore art thou, Mitt Romney? O, Romney-O, Romney-O Wherefore art thou, Mitt Romney? O, Romney-O, Romney-O, Wherefore art thou Mitt Romney? Is it that they incriminate? A job creator you are not. Yes, it’s Obama – four more years! With the appointment of Owen Paterson as Secretary of State for DEFRA, the Tories demonstrate that far from being the “Greenest Government Ever”, they are blazing their path of pure disdain for Environmental protection. 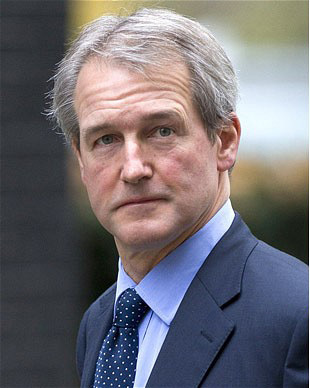 Owen Paterson, MP for North Shropshire, is one of the last relics in the denial game, a climate sceptic. Witness the recent press release by DEFRA as published in Damian Carrington’s blog for the Guardian on 7 September. As if it still needs to be proven that we have experienced a rise in global temperature as the result of our greenhouse gas emissions. According to the Berkeley Earth Surface Temperature Project, conducted by Professor Muller, through examination of 1.6 billion termperature records from 36,000 weather stations around the world, dating back to 1753, the Earth’s temperature has risen .9°C since 1950 due to human activity. The IPCC has also determined irrefutably that there has been a global rise in the Earth’s temperature due to the anthropogenic release of greenhouse gases. This statement from DEFRA is a frightening indication of what is yet to come in UK environment policy. Apparently Environment secretary Paterson is also in favour of fracking, an extreme form of shale gas extraction that emits large amounts of methane into the air by flaring. Methane has eight times the greenhouse gas concentration of carbon dioxide. No wonder he conveniently choses to ignore the science for the sake of pursuing his purely slash and burn environmental tactics. According to the Tyndall Centre, shale gas extraction pollutes the water table. Fracking is a technique that injects chemicals into the ground and creates fissures in the earth through high pressure drilling.His appointment casts a black cloud over environmental protection. Here is a delightful article from Greenpeace on the current Japanese thought post Fukushima. People are concerned about radiation exposure in Tokyo since it is only 140 miles from the site of the explosion. An estimated 5 million tons of debris have washed up on formerly pristine beaches lining the Pacific Northwest coast of America, exposing their residents to harmful radiation. Never mind the impact on sea life. Surely a child can see that man cannot have complete control over his environment, despite what some scientists and politicans think. 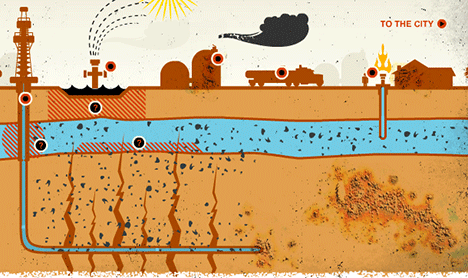 Fracking is Extremely Dangerous We can act to stop fracking and extreme energy extraction. Please tell your MP that you are against Fracking. Shale gas and coal bed methane extraction methods threaten communities across the UK. In the government’s drive to incentivise the fossil fuel industry, feeding our addiction to oil and gas instead of investing in a renewable energy alternative, the taxpayer continues to finance tax allowances for smaller fields like shale gas and coal bed methane. These incentives can cost the taxpayer hundreds of millions of pounds. The tax breaks for the gas industry make £500 million of profit exempt from tax, at 32%, this creates a toxic subsidy of £160 million. This doesn’t include the subsidy that the gas industry receives for the cost of decommissioning their drilling sites. According to HMRC, it is the UK Government’s aim to“maximise the economic production of hydrocarbon reserves” working with industry to increase its subsidy for marginal fields and projects. The Tyndall Centre has described in detail the dangers of fracking, from its contribution to increasing harmful release of methane (a concentrated greenhouse gas contributing to climate change 20X more than effective at trapping heat than carbon) as well as the danger to the water aquifers in the areas where drilling takes place. Water is essential to human life and cannot be tainted. Treasury has done little to disguise its disdain for supporting the renewable industry by its continuous decrease in the amount of Feed in tariff for wind and solar. The tariffs have a different effect on the taxpayer, as it is not direct tax relief, like the subsidy for oil and gas. The tariffs are actually paid by the energy suppliers. Were the government to support investment in the energy infrastructure, the electricity transmission system, energy suppliers may be incentivised to invest in renewables in order to reap the benefit of increased distributed generation. Unfortunately, this has not been the case. Renewable energy can make a substantial contribution to the energy mix in the UK. One example is the Rampion Offshore Wind Farm site, planned at a location 13 kms off the coast of Brighton and Hove. This wind farm could accommodate a scheme of up to 700MW of installed electrical capacity. Based on current estimates of the area’s wind resource over the long-term, E.On, the project developer, projects the site could generate more than 2,100 gigawatt hours (GWh) of electricity each year. In a typical year, the wind farm could generate enough electricity for the domestic needs of the equivalent of around 450,000 average UK households. That’s more than two thirds of the homes in the whole of Sussex, including the city of Brighton and Hove. You have a choice, we don’t have to wreck the environment to maintain our standard of living. We all know that politicians are influenced by lobbyists. Unfortunately, we don’t have to go further than London to bear witness to it. Corporations rich in cash are influencing our politicians to spend our hard earned taxpayers money against our best interests. Fortunately, there are two insiders who are not afraid to blow the whistle on the unfair influence the oil and gas industry has on government legislation. No wonder we all think that there are no alternatives to nuclear power and the oil and gas addiction that our government feeds. Our government is investing our money in these industries to maintain the stranglehold that the energy industry oligopoly has over us, making it more difficult for us to transition to a renewable energy future. The oil and gas industry does not support our energy independence. It will never be in their interest for us to generate our own electricity and heat by using natural resources like wind and sun when they can keep feeding us electricity generated by fossil fuel and nuclear plants. These large polluting generation plants transmit electricity over high voltage wires running over our countryside losing 65% of the electricity generated during its journey from the plant to our homes and workplaces. There are movements building to create community owned energy generators happening all across the UK. Those who want to support the transition to a low carbon future, to protect our environment and to create energy security can investigate the grass roots movements in their areas. 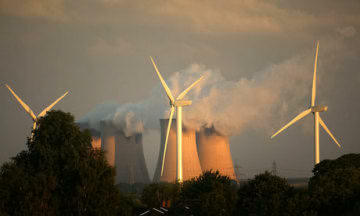 They can invest in these groups and build their own local energy generation facilities. This will become the backbone of our energy infrastructure going forward. Locally generated energy is consumed locally. It’s clean and efficient. Its cheaper. Go find your local generator. Cancer Research UK has issued an extremely disappointing press release about the increase in the lifetime risk of breast cancer from 1 in 9 last year to 1 in 8 this year. There are three factors involved, the first and most influential – genes, the next two equal in importance, lifestyle behaviour and ENVIRONMENT. There was no mention of the environmental impacts on breast cancer in the UK in the press release. Women posted on their blog that they felt guilty, not taking more responsibility for their lifestyles to possibily avoid getting cancer. Governments prefer to keep people ignorant to avoid panic. Their preference is to keep us all sedated, like the iconic Stepford Wives. To believe what we are told that we have to cut down our drinking, eat less and more healthy and most importantly – HAVE MORE BABIES FOR BRITAIN. These actions will lower your risk of getting breast cancer. Some of the reason why cancer rates are increasing is because of the rising levels of fine particulates in the air from diesel engines creating unhealthy levels of pollution in England’s cities. We are exposed to ever higher levels of dangerous radiation from nuclear power plants in the air and in the sea . No one knows how much radiation we absorb in our daily lives, there’s never been a study of this sort conducted by the government. The government’s policy is and historically has been – If we don’t test it, no one can prove it. We need to insist that before any more nuclear power plants or nuclear waste storage sites are built, that we understand the impact that rising production and storage of deadly radiation will have on the inhabitants of this small island. We need to see the results of tests that are made of the water where the waste water used to cool the spent fuel rods flows out into our seas and rivers. We need to know what level is released and what levels are contained on the sands and earth surround the nuclear power plants. We need to understand how the government can guarantee that we are not exposed to danger despite the higher incidence of leukemia in the proximity of nuclear power plants. Can the government ensure that there will be no more leaks? According to a NII report obtained by Mark Gould of the Guardian from the Freedom of information act, in June 2009, a nuclear leak occurred at Sizewell A. Disaster was averted by a contractor’s chance decision to wash some clothes. As much as 40,000 gallons of radioactive water spilled out of a 4.5 meter split in a pipe, some leaking into the North Sea. By the next scheduled safety patrol, the level would have dropped enough to expose to nuclear fuel rods potentially causing them to overheat and catch fire releasing toxic fumes into the air. Terry Macalister and Rob Edwards wrote in the Observer on 21 June 2009 from a report obtained through the freedom of information act, “the government’s chief nuclear inspector reveals that between 2001-2008, there were 1,767 safety incidents across Britain’s nuclear power plants “About half were subsequently judged by inspectors as serious enough “to have had the potential to challenge a nuclear safety system”. They were “across all areas of existing nuclear plant”, including Sellafield in Cumbria and Aldermaston and Burghfield in Berkshire, says Weightman, chief inspector of the Nuclear Installations Inspectorate (NII)…And it came as the managers of the UK’s biggest plant, Sellafield, admitted they had finally halted a radioactive leak many believe has been going on for 50 years.” A spokesman for Sellafield confirmed it had successfully halted the seeping of liquid from a crack in one of four waste tanks that used to process effluent before it was discharged into the Irish Sea. London has the worst air quality in all of Europe. Coincidentally, the Mayor’s office also issued a draft strategy for improving London’s air quality called “Clearing the Air”. This strategy was prepared to win an extension on the time limit for compliance with air pollution limits imposed by the EU. London is far below the emissions level that has been set by the EU and has not been meeting the targets for emissions in its taxis and buses for at least the past five years, if not more. This year, London reached its 36th bad air day already in June , where there are only 35 days allowed per year according to the EU. If the Mayor doesn’t do something, there will be fines to pay and potential court cases. Those of us who are really concerned by the fact that London has the worst air quality in Europe know that the Mayor’s draft strategy paper is not much of a stretch from the policies that have already been in place since 2004, when each borough was required to draft and implement Action Plans to tackle the problem. In essence, many of the proposals are adaptation related and not solution oriented. This is just not enough. The most poisonous gases (NO2 and particulates PM2.5 and PM10) are primarily emitted by petrol diesel engines. Recent studies have concluded that these gases cause respiratory disease, asthma in children and contributed to almost 4,300 unnecessary deaths in London in 2008. The Low Emission Zone (LEZ) and congestion charge was supposed to address this problem. However, based on studies conducted by Kings College, there is not real evidence that the LEZ has improved air quality in London at all. Studies show that elevated pollution concentrations tend to stay on the road. In this instance, a cyclist waiting for the light to change to cross Marylebone Road would be inhaling up to 40% higher levels of toxic pollutants than a less busy street in other areas of London. Sensitivities will increase if the cyclist is breathing heavier due to a higher cycling tempo. Fundamentally, the most important aspect for implementing any strategy is missing – How are these proposed strategy points measurable? Just one example, because there are too many to specifically mention, is the proposal to: “work with taxi manufacturers to develop an affordable zero emission taxi”. Surely the Mayor is aware that this work has been ongoing for many years, probably more than 10 years by LTI ad that they have just introduced the TX4 model that is Euro IV compliant. This type of rhetoric, without any targets that are measurable, are completely meaningless and part of the problem that has defined the political agenda defining London’s clean air problem for far too long.